Cazz’s account of the first few weeks of the greatest adventure of our lives. 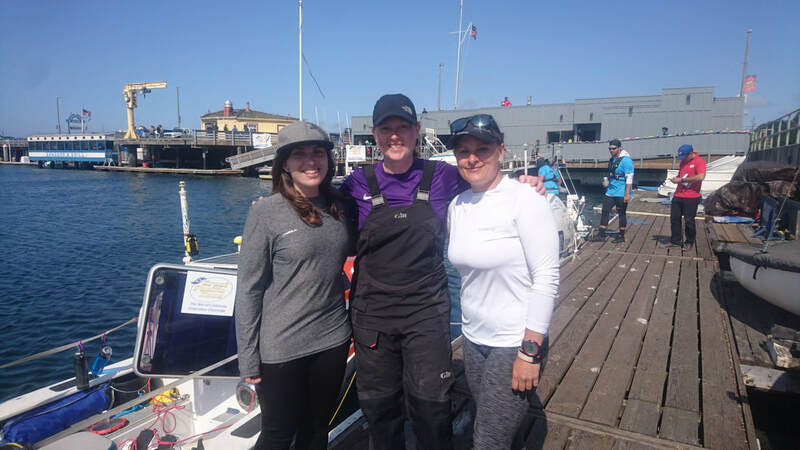 If you’ve read the previous blogs, you’ll know that six weeks prior to flying out to Monterey, California our crew of three became a two. 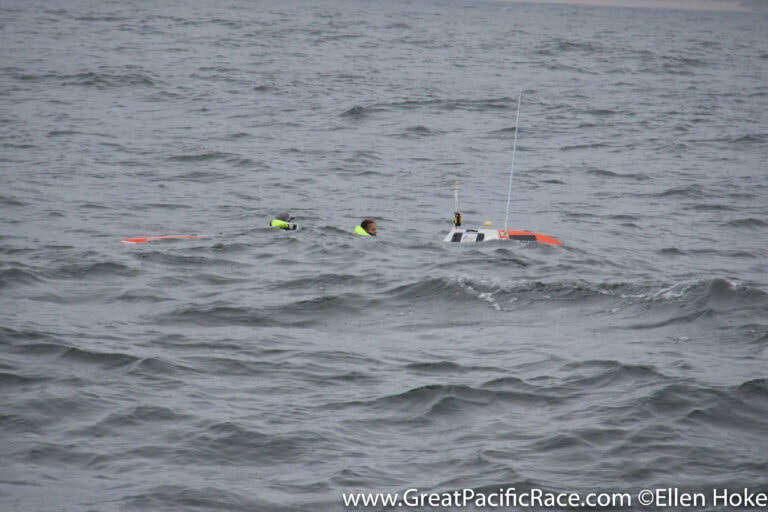 Although it was absolutely the right decision for the crew, it threw our campaign to become the first crew of three to row the Pacific into a slight panic! 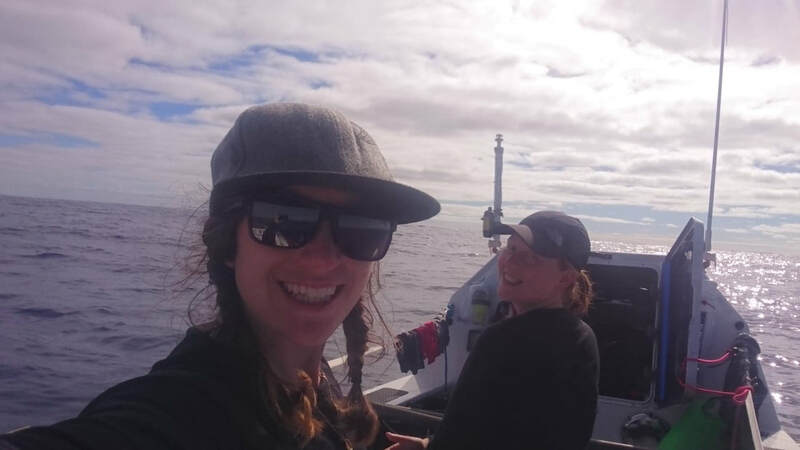 Cue the entry of Eleanor Carey, a 28 year old Australian who had emailed some months previously when the crew was full, but had a long CV of previous expeditions including a rather impressive solo cycle through Europe. She listened to our story, made a few arrangements at home and joined the crew eight weeks before we would be crossing the start line. Legend! Pre-race prep – San Fran and meeting El! Pre-race prep – Race registration, equipment testing & getting in the hours! The first three weeks were tough but I was having a great time, the laughter on board never stopped and there was never a moment where i wished I wasn’t on the boat. 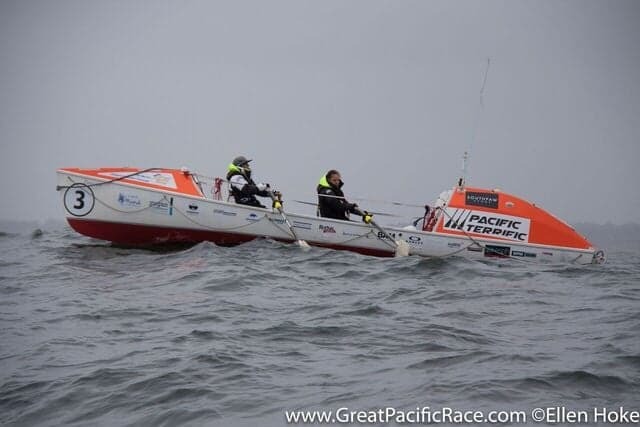 The tunes pumping out the speakers kept us occupied during rowing shifts and I felt so at home on the ocean – i think I’d found my happy place, no matter how bad the conditions and weather got! Somehow by the end of week three we found ourselves in second place, behind the 4x male crew of Uniting Nations which was better than any of us had ever dreamed of!